Weddings can get very expensive very quickly if you're not careful. Choosing a wedding planning budget that you are comfortable with is the first step to keeping the spending under control, and the next (hardest) step is to actually stick to that budget. Cutting your spending in certain areas frees up money that can be spent on other parts of the wedding that are more important to you. Country Jewell has 5 great money-saving ways to do that in today's blog. The more guests invited, the more you are going to end up spending on each one. Fewer guests mean less food to serve, fewer invites to order and put stamps on, and fewer favors that you have to buy. In reality, you only need your family and closest friends with you. Our small wedding venue near Knoxville is capable of hosting a wedding of up to 100 people in the special event barn and 45 in the indoor chapel, so if people that don't make the guest list inquire as to why not, you can blame the size of the venue instead of telling them that you wanted to save money by not inviting them! You save money and their feelings are less likely to be hurt. Giving yourself at least a full year to plan your wedding will give you plenty of time to think your options over, compare pricing, decide what's truly worth spending your money on, and avoid any last minute "we're running out of time" impulse buys. Just be very careful that you don't end up spending extra on unnecessary items because you have extra time to shop before the big day. Fresh flowers can be one of the priciest items you will purchase for your wedding, but they don't have to be. Unless lots of flowers is on your "most important wedding items" list, you can choose to buy fewer flowers and use other decorations alongside them to fill up space. Some examples would be candles, lanterns, or themed items like pinwheels and mason jars. When you get married at Country Jewell, the lush outdoor landscaping is filled with gorgeous flowers already growing on site, so additional cut flowers aren't really a necessity if they don't fit into your wedding budget. If you incorporate a wedding hashtag that all of your guests can use to share photos online, you won't have to worry about hiring a photographer for extra hours to stay late into the evening. Most of the important photos are done early, and the end of the night is just lots of people dancing, laughing, and having fun. A professional photographer isn't really needed for those final, casual shots, and your friends and family are very likely to capture some moments only someone close to you would notice. The hashtag photo-sharing option also lets you see pictures of things going on at the wedding while you are in another area with the photographer taking your formal shots. Another extremely pricey item at your wedding will be the food, but you really should serve your guests some type of refreshment. Having your ceremony and reception earlier in the day allows you to serve brunch or lunch to your guests, which is generally a less expensive meal than a full dinner. A wedding that takes place midday after lunch but before dinner only requires you to serve light appetizers or simply cake and punch. We offer some wonderful packages at our rustic wedding venue near Knoxville that include delicious catering packages in the price already. A reception in our special event barn also gives you access to our warming/serving kitchen complete with a refrigerator, oven, and microwave if you want to prepare your own food. We do require a deposit to bring your own food, but it will be fully refunded as long the kitchen is left clean with no damage and you carry off your own garbage. 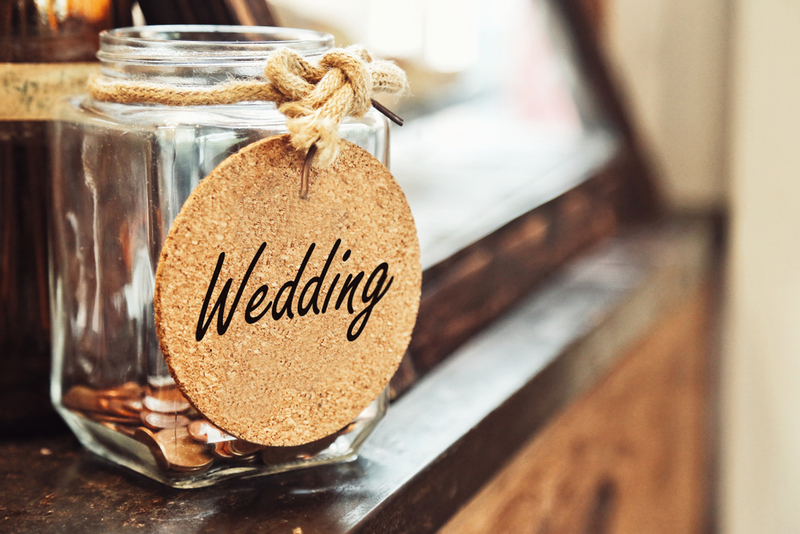 You can have the wedding of your dreams at Country Jewell without breaking the bank if you take the time to make good choices and really decide what aspects of the wedding are the most important to you, and which ones you are fine doing without. As long as you have an amazing time filled with happy memories, the entire experience will be priceless!